This thread is dedicated exclusively for those students currently enrolled in the InterNACHI course titled, "Foundation Walls and Piers Course." Students are free to pose questions, share comments, post images, and write essays here. The thread will be monitored by the course instructor. The course is going well. I found this on a recent inspection of a true prefab manufactured home, not a modular. There are a couple of dealers in my market that sell these. The sections are factory constructed and are equivalent to a stick built home, except the sections are small enough to easily transport and place with a crane. The foundation walls are precast concrete sections, with 1.5" Dow Board over the exterior, and I assume field cast in place concrete poured against the outside of the insulation board, however this exterior concrete maybe part of the panel. I did not see any joints at the visible foundation wall, but forming at this location would seem to negate the advantages of using a precast system. There are three photos. One of the overview of the system from inside, one at a typical vertical joint, and one at the bottom rail of the system at a joint, showing the connection detail. Attached is my partial report on the basement findings of a recent inspection I did. attached photo is of 2 cracks extending from floor (pad) to 1st floor platform. during the inspection of the exterior the drainage around this area was not sloped away from the foundation (see sump pump in the corner). would recommend a qualified structural engineer review condition. as part of the foundation walls and piers add. reading i am commenting. it is imperative that site drainage is the single most important first line of defense against moisture intrusion....once that has been established all other measures will enhance a proper enviroment. This is a 1890 stone foundation in remarkable condition. It supports a two story brick structure, located in Northeast Pennsylvania. I inspected it on the exterior, as well as it’s interior surrounding a full basement. the mortar was in very good condition. I inspected the foundation of a two story cape cod. the foundation consists of 8" cinder block. The block was in very good condition, with only very minor cracks. It's exterior has been sealed with tar, that can be seen at various locations around the home just above ground level. The basement has been finished off, and was dry. One point of access to the basement area is gained through a door at the basement level, on the driveway side of the home. Another way into the basement is through a door off the 1st floor hallway of the home. 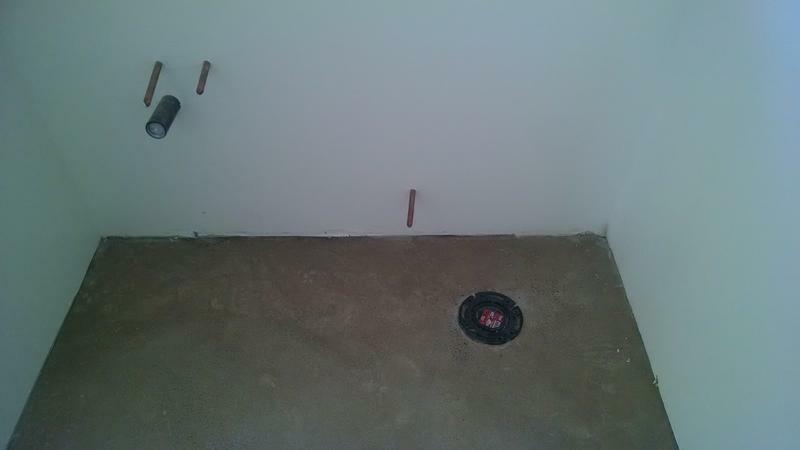 These are some photos of a recent inspection I did where I found the slab foundation has some areas of spalling. The seller stated there were “some repairs” several years ago but did not know the extent. I did recommend to my client further evaluation by a structural engineer or foundation specialist. This Air conditioner condensate drain is spilling water onto the foundation. As you can see, it has already caused some damage. It should be configured so that the water is directed away from the foundation to prevent further deterioration. Foundation live load and structural calculations for a residential home are above the expectations and responsibility of the Home Inspector. However, deviations from proper building standards are easily spotted, if you know what to look for. Strained structural members, heavily bowed horizontal joists, cracked joists are just a few of the tell tale signs of a structural problem. If these are noticed, it would be good to recommend further evaluation by a structural engineer. This is a picture that I took of an improper pier in a crawlspace. There were several of these throughout the crawl that were built improperly in the same manner as this one. Most homes in Florida are built on slabs. I agree most homes in Florida are built on slaps but there are a number of pier foundations around. Here is a picture of a brick veneer wall that has 3 spots in a 10 foot area just alike. Two bricks were replaced at some point in time in each spot that are not adjacent to each other. No obvious signs of what happened to cause this. Inspected house with concrete slab on grade foundation. Most exterior walls were brick veneer with some vinyl siding. No signs of cracking in exterior brick or interior drywall. No evidence found of out of square doors or windows. Some cracking in carport area of slab but the cracks are very narrow and would appear to be only on the surface. 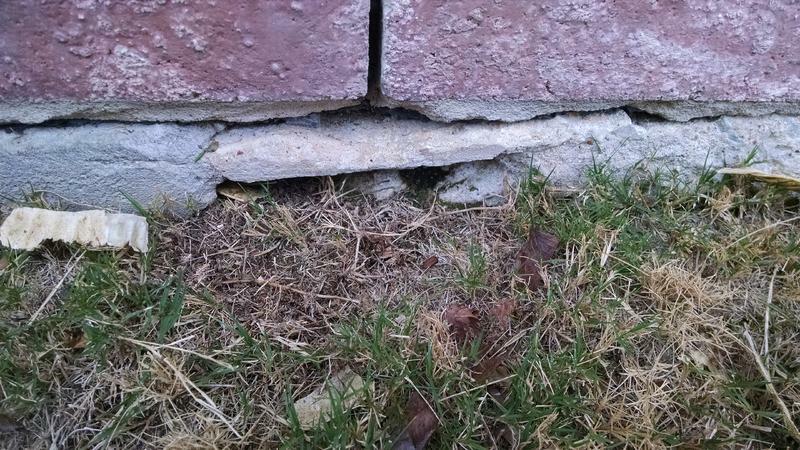 Read two articles on foundations, "Inspecting Visible Masonry" and "Shrinking Cracks in Concrete." 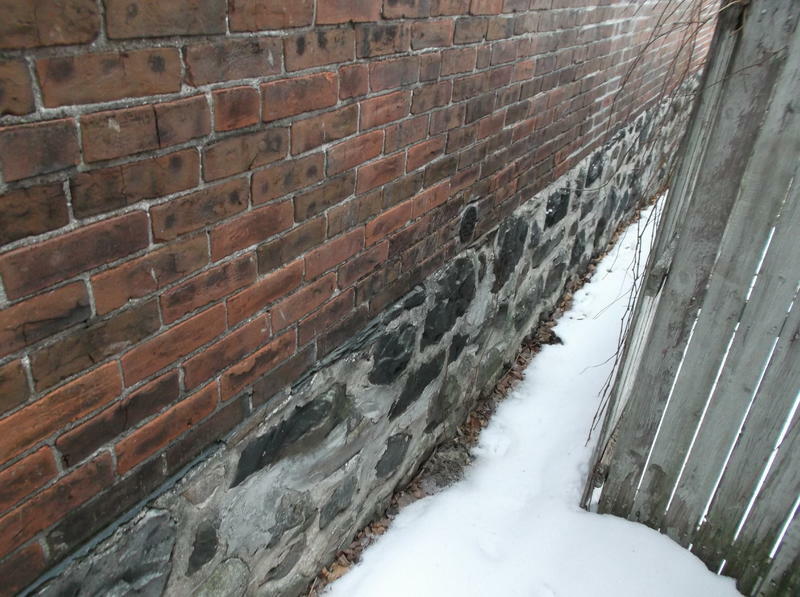 There are a lot of possible reasons for masonry and concrete to crack. 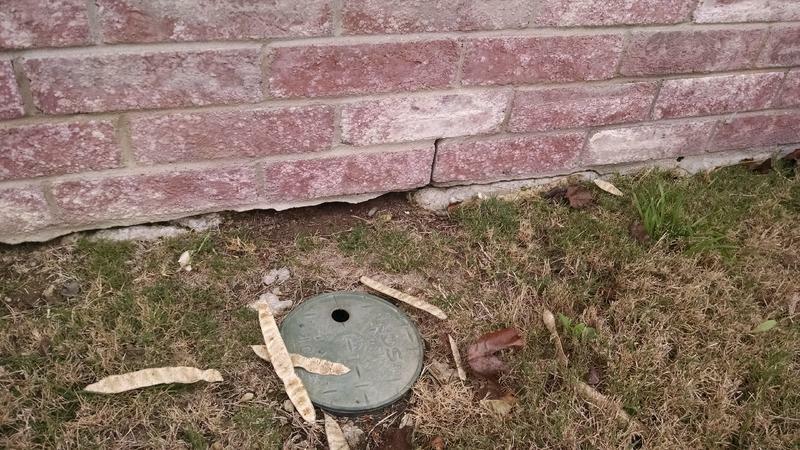 You need to investigate everything around the house and foundation for possible causes and draw the right conclusion to what a crack or defect is. I read the foundation insulation article for this course's required reading. Being a concrete contractor for the last decade I still learned some useful information from it! This is a photo of perimeter foundation wall efflorescence seen in a basement. The house is 65 years old and the perimeter foundation walls look pretty good.